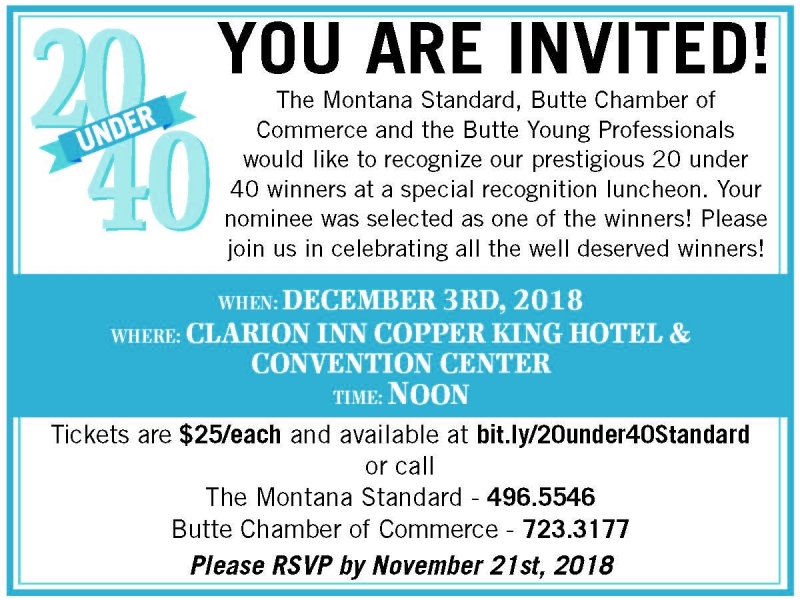 The Montana Standard is proud to recognize individuals in our communities who have excelled in their career/work, given back to the community and donated time philanthropically. Nominations were accepted by the public for outstanding individuals who are leaders paving the way to greatness both in and out of work. 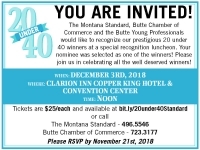 The Montana Standard and the Butte Young Professionals will recognize these individuals and their work during a luncheon award ceremony on December 3rd, 2018 at the Copper King Hotel at 12:00pm. Please join us as we recognize these inspiring young leaders.